Note: This post is the first installment of a three-part series on my trip to North Korea. 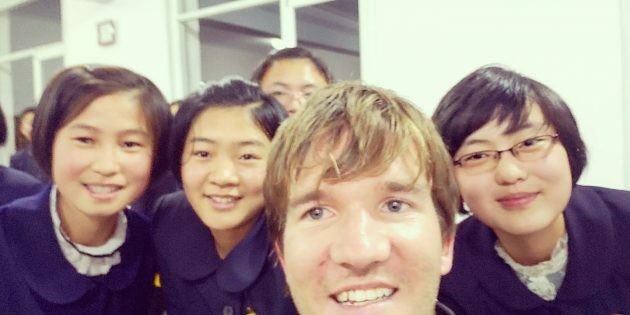 In this post you will get a glimpse of life in a peculiar Chinese border town, see what is like to cross the seldom-used (by westerners) northeastern border between China and North Korea and actually venture inside North Korean schools, where I had face-to-face interactions with English-speaking students. So the time has come to chronicle my highly anticipated trip to the great fatherland/hermit kingdom known as the Democratic People’s Republic of Korea (DPRK), or simply North Korea. Few foreigners ever visit North Korea. Even fewer actually travel across the country. 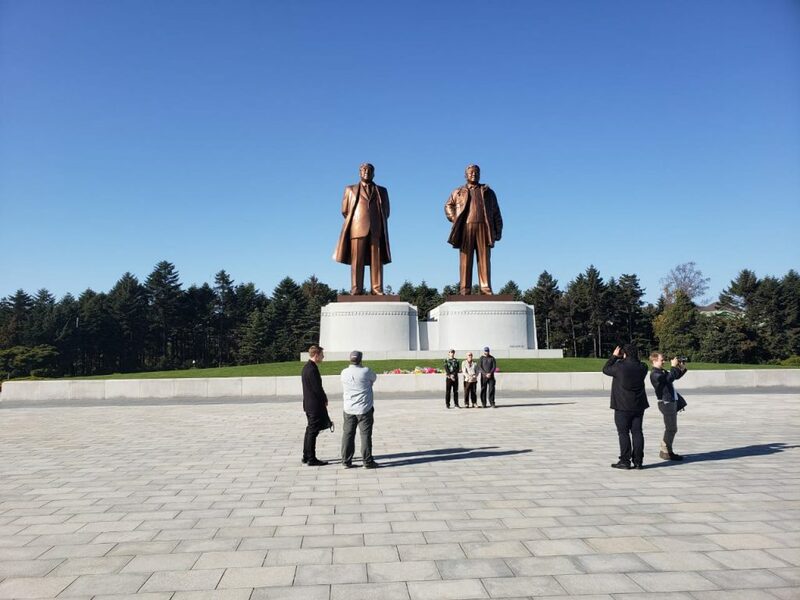 I am one of those privileged few, having in October 2018, taken a north-to-south tour across North Korea. This guided adventure is called “The Real Deal Tour: DPRK.” It is put on by the company Young Pioneer Tours. Obviously, the tour didn’t give us the complete picture of life in North Korea. 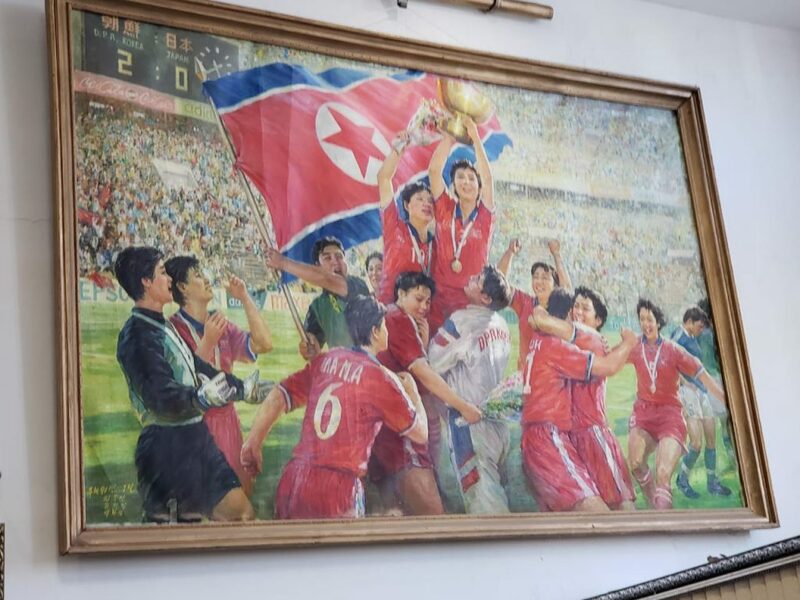 There was a lot that was off limits for us to see, and government approved guides accompanied us everywhere, seeing that the tour presented North Korea in a positive light. 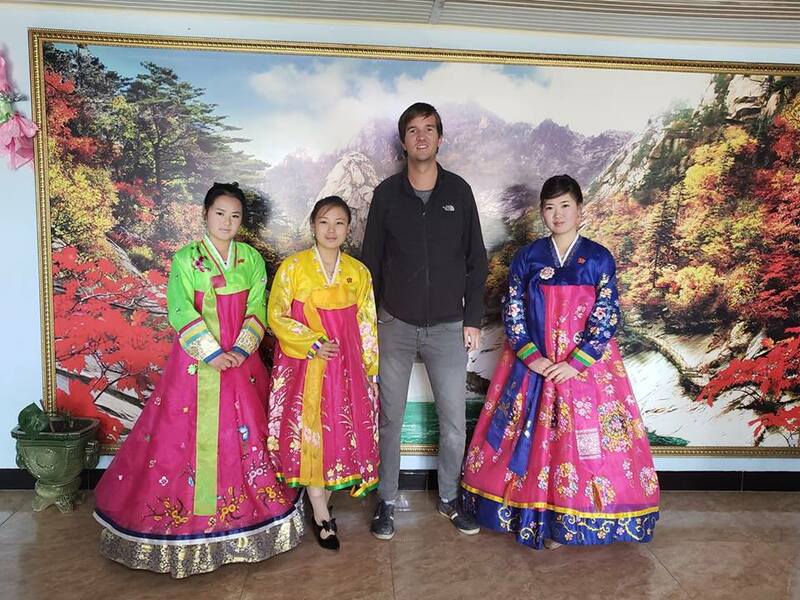 Nonetheless, it was the real deal in the sense that it gave me chances to interact with some North Koreans in their natural habitats and get a feel for their culture, attitudes and mindsets. I now have the opportunity to relay to you what I found and experienced, so sit back and enjoy the read! The Real Deal North Korea tour started in Beijing, where I had just wrapped up a wild party adventure in which young Chinese adults were spending $20,000 per night per person inside a club and affording some foreigners like myself the chance to go clubbing for free. Things became a scramble in Beijing on the morning the tour was due to begin. Looking ahead, on my way out of North Korea, I would need a printout of my ticket for my return Beijing to Doha flight. Without it, I would not be able to board my flight in Pyongyang and get my transit visa in China. I asked hotel staff to print my ticket. They sent me to a business center. The business center took ages to open, and when it finally opened, the printer did not work. In the end I went back to the hotel reception desk, and they printed my ticket. I arrived late to the initial gathering of tour participants. But I made it nonetheless. There was one other last-minute inconvenience for me. I needed to pay for the tour in cash. That meant pulling $1,300 in yuan out of Chinese ATMs, which do not dispense large bills. I ended up with a very large stack of bills. I didn’t need to break out the wheelbarrow, but it felt as if I was in Venezuela. After our initial tour meeting, we had one hour of free time before we needed to board a 25-hour train to a Chinese border town. Most members of the group did last minute shopping. One guy, however, mysteriously disappeared. He was at the initial meeting. Then he said he needed to check something or make a delivery. When everyone reconvened at our meeting place, we waited and waited. The guy did not come back. I then stayed at the meeting spot, a hotel, with one of our guides, while the other members of the group headed to the train station. The clock was ticking. We had to board the 25-hour train. Just before I would have missed the train, the guide I was with brought me to the station and bought my ticket. I boarded the train. The guy in our tour group who mysteriously disappeared did not. One man down, we departed Beijing, headed for the northeastern Chinese border town of Tumen. In full disclosure, our missing compatriot rejoined us the next day inside North Korea. He apparently took a speed train, then another train and managed to cross the border and catch up with us. What caused this whole mess? Well, my theory is that it was a clash between Google and China’s great firewall. In China, Google services, i.e. Google, Google Play, Google Maps, do not work, unless you have a VPN. However, even with a VPN, problems remain. If you are using Google Maps, for instance, many places show up in the wrong location. I think my compatriot was running on schedule, but when he was trying to return to our meeting place, Google Maps sent him in the wrong direction. 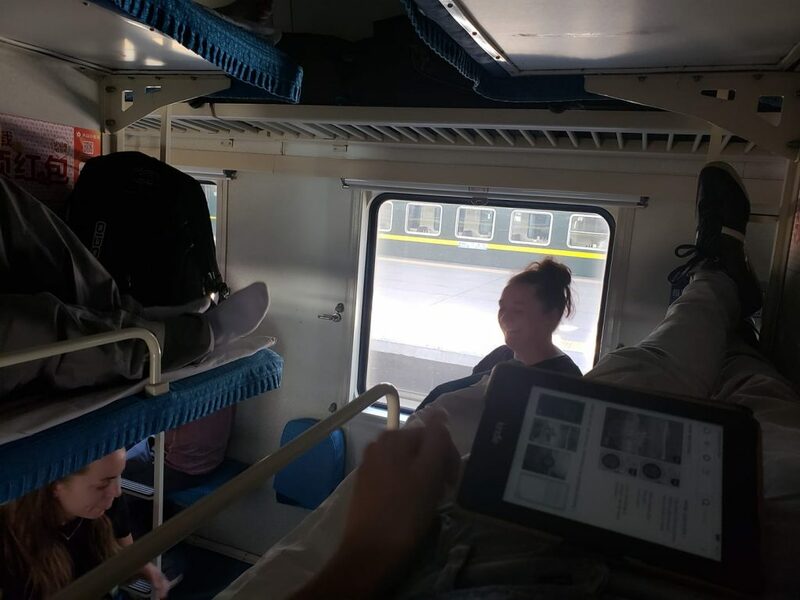 As for the actual train ride, being 6 foot 7 and being stuck for 25 hours in the middle bunk in a row of bunk beds stacked 3 high is not terribly comfortable. My compartment was slim, and there was very little space to move around. Somehow, though, the bunk was actually long enough to fit my legs. There were windows on the train, but we didn’t see a whole lot over the course of the journey. At one point we spotted a bunch of Chinese tanks that were being transported within the country. We made our way out of the big cities and entered China’s northeastern region of Manchuria before finally departing in Tumen. 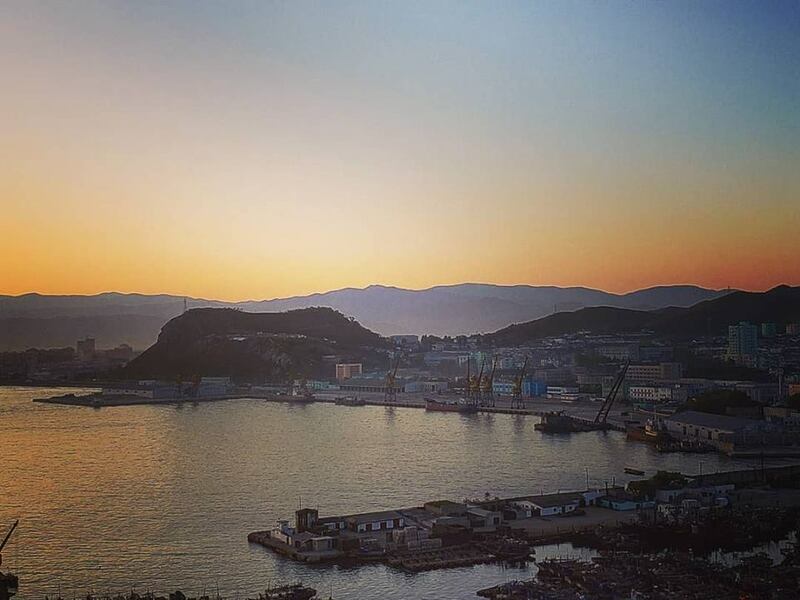 Tumen is a small city in remote northeastern China that is not only on the border with North Korea but also fairly close to the city Vladivostok in Russia. Despite it size and location, Tumen is pretty touristy. Tumen, China’s location – Do you trust the map? Upon arriving, we checked into a hotel, and there was an orientation for our trip. We would cross into North Korea the next morning. I napped for a couple hours to recover from the train ride. In the late afternoon, I got up, eager to to get a glimpse of the border before it got dark. As I walked through the streets of Tumen in search of the border, I got lost because, of course, Google Maps sent me in the wrong direction. It turned out I was already walking by the border. 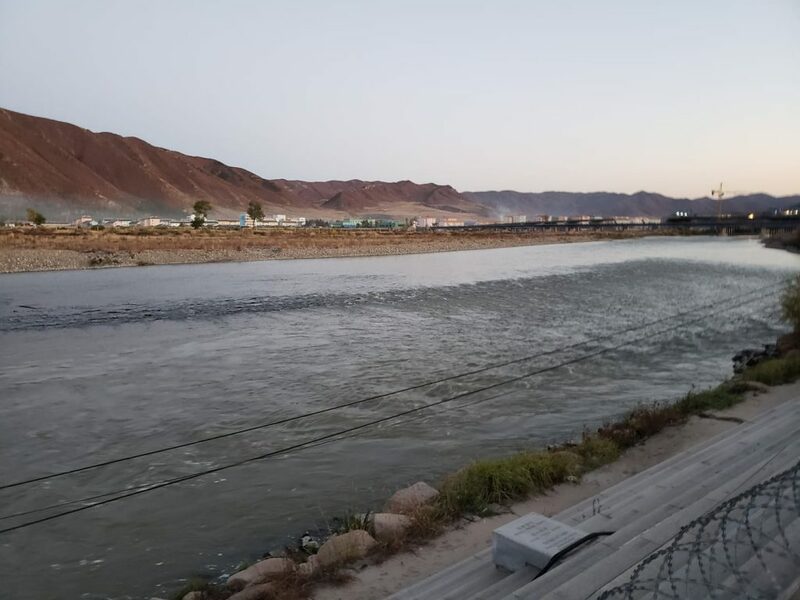 I bumped into an older British gentleman from our group, and together we walked to the Tumen River, which doubles as the border. We had been warned that police might stop us, since the area rarely gets any western tourists, but that didn’t’ occur. The Tumen River is a big attraction. There is a promenade along the river that is lined with restaurants and activities for kids. Both Chinese and North Korean flags are flying in the area, and you can pose for photos along the river with North Korea in the background. I took the opportunity to peek into North Korea and film a quick video. When you glance around, the distinction between China and North Korea is glaring. On the Chinese side, there is a lot of agriculture, which functions in a modern manner. 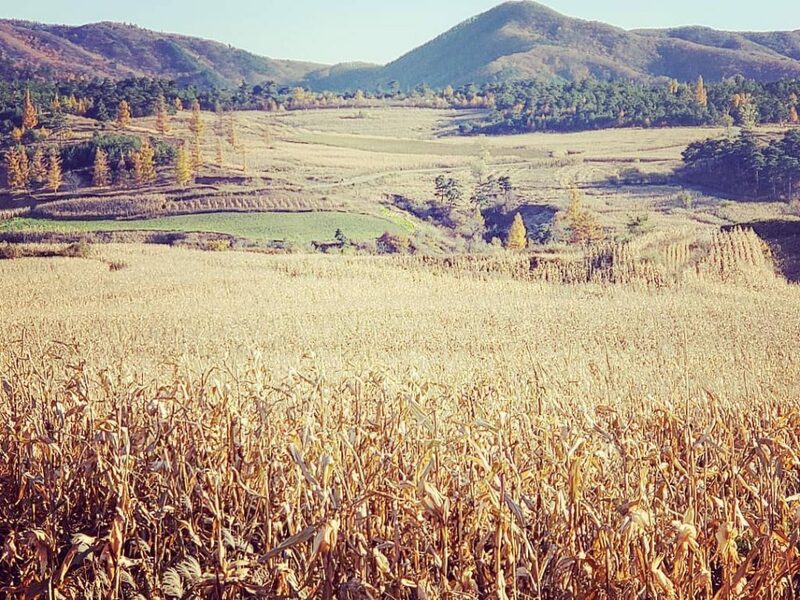 On the North Korean side, you see cornfields that people are preparing to harvest with old-fashion tools. In the summer, it is typical for Chinese and North Korean kids to come play with each other in the river. After having their fun for the day, they return to their homes on their respective sides. Earlier in the day, while taking a bus through the Tumen countryside, our guide instructed us about the photo policy — no pictures of people or houses. Basically, we were only allowed to take landscape shots, though apparently, this is a much more lenient policy than it used to be. In the past in northeastern China, it was forbidden to take photos from the bus. The older British gentleman and I ran into other members of the group by the river. We chatted and walked back to our hotel. It was dinner time, and that meant there was about to be some odd food on the table. At a Chinese restaurant next to our hotel, our tour group ordered a lot of food. Of the many dishes we ordered, one was dog meat. This may have come as a shock to some, but for me it had become business as usual. 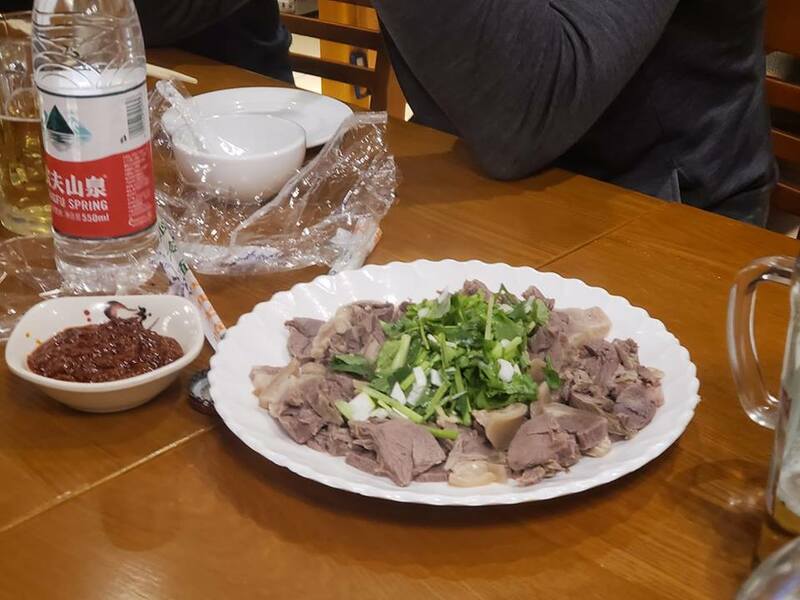 Something I didn’t disclose about my wild Tinder KTV adventure on the outskirts of Beijing was that it involved eating dog meat. In the end, I opted to chow down on Mongolian beef. We washed down our meat with rice wine and soju. Made from rice, in this case, soju is a clear spirit that looks like water, smells like water and tastes like water. Yet it often contains 20-40% alcohol. There are both stronger and weaker variants to the drink. We woke up early on this eventful October morning. Our guide told us it would take about 5 hours for our group of 15 people to cross from China into North Korea. A bus drove us to the Chinese side of the border. 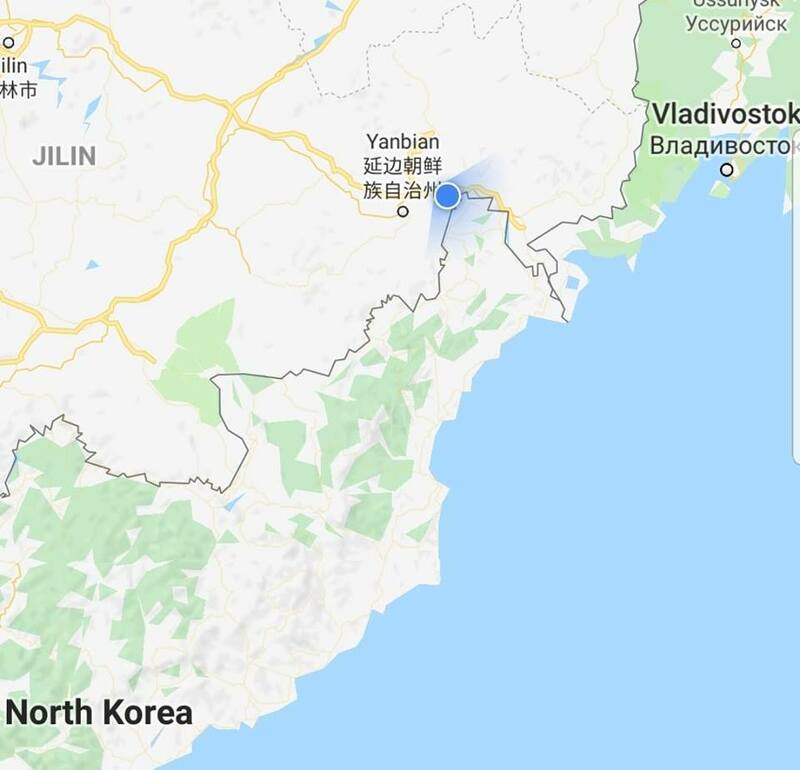 The actual border crossing goes as such: there is a Chinese border post on one side and a North Korean post on the other side. In the middle, an old, rusty bridge — approximately 200 meters in length — hangs over the Tumen River. The Chinese border guards were surprised to see us. They weren’t very eager to test their English skills. We had to go through security and have our bags checked, in addition to getting exit stamps. 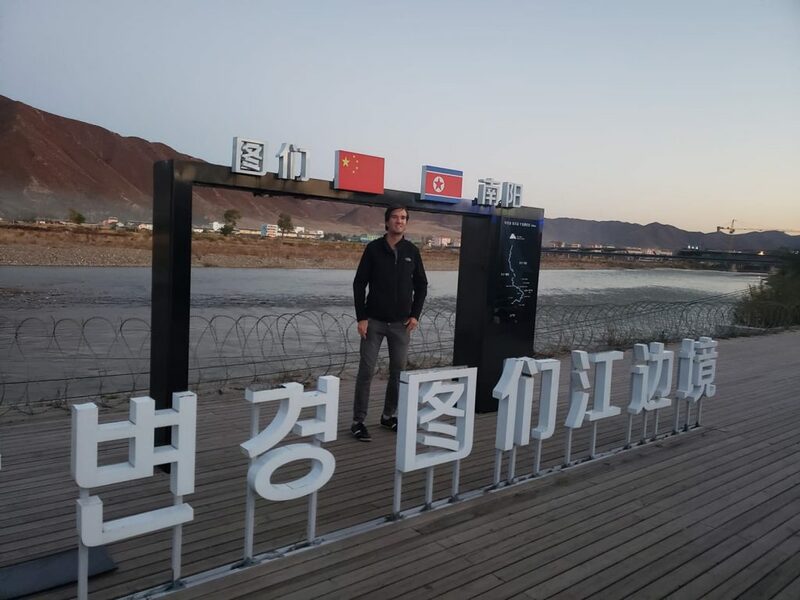 I filmed while standing on the precise line marking the border between China and North Korea. While we crossed, we got a good look at a new border bridge that was under construction directly across from the one we were walking on. Unfortunately we were banned from photographing the new bridge. Below us the river was very shallow. You could just walk through it. You wouldn’t even need to swim, at least not at this time of year. On the sides of the river, there is some barbed wire. But you could easily climb over it. Maybe there are some mines along the border, though our guide said there aren’t and that everything is good between the Chinese and North Koreans. 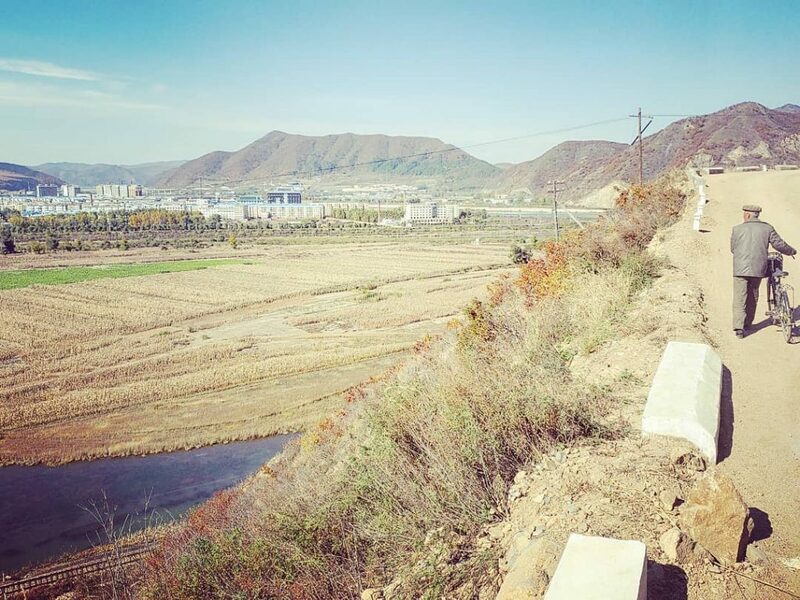 It is worth nothing, though, that the Tumen River is a common escape route for North Korean defectors. Over on the North Korean side, we presented our visas and tourist cards that were all prepared in advance. 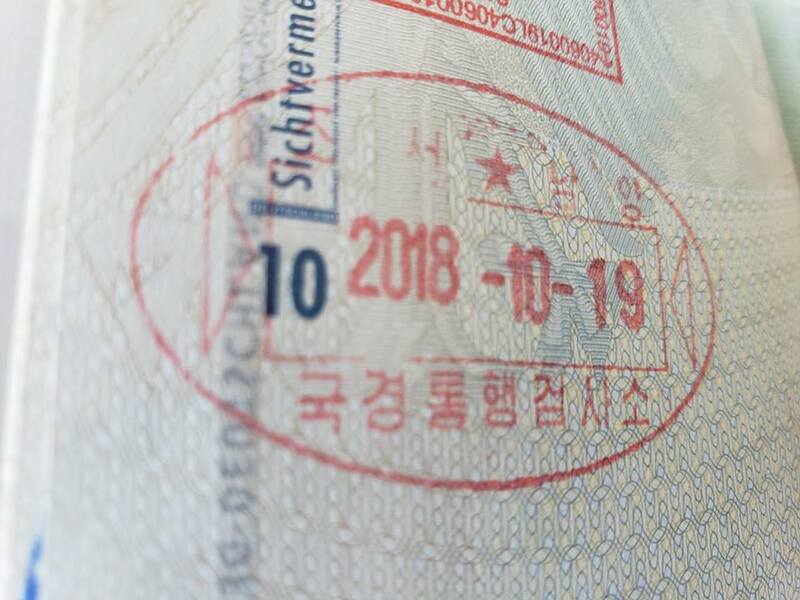 We all wanted to get a North Korean stamp in our passports, as that is typical procedure at this border crossing, while it is not at others. The border guard did not want to stamp our passports, but our North Korean guide was already on site, and he persuaded the guard to give us stamps. While it’s very rare to have a North Korean stamp in your passport, I must say, in appearance, it is not that distinct. Someone could easily mistake the North Korean stamp for a South Korean stamp. Again, much to our surprise, the process took just 30 minutes. In about 1 hour we had officially crossed from China into North Korea. 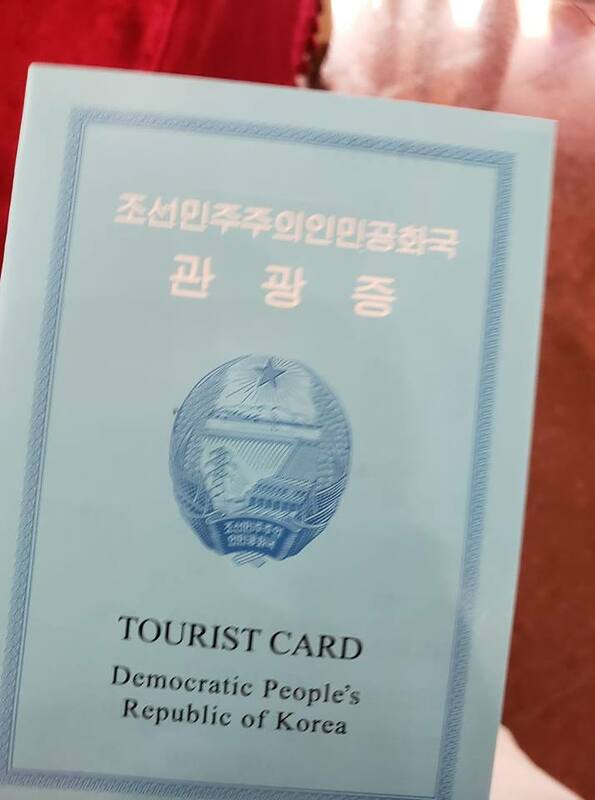 Who knew entering the DPRK was so easy? Now inside North Korea, we sat down for lunch at a restaurant next to the border post. The food was tasty but not that noteworthy. 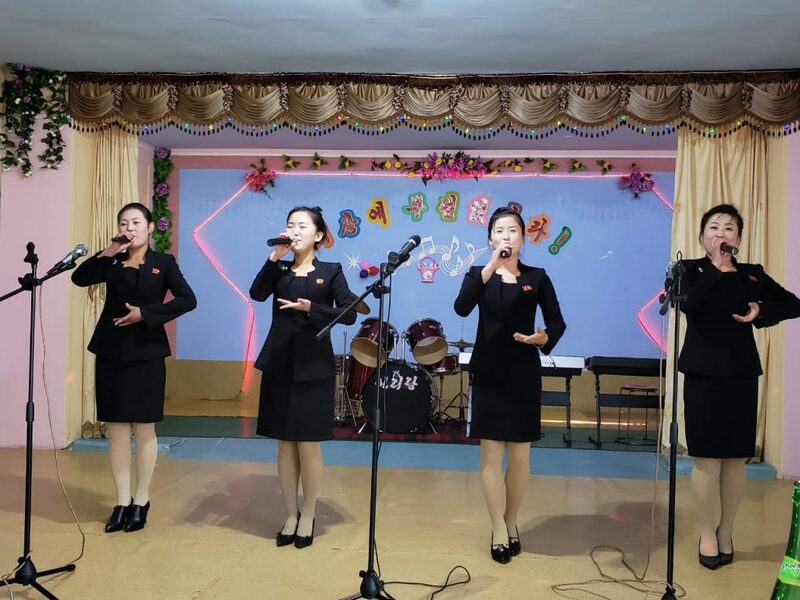 The atmosphere changed, when after we finished eating, the hostesses and waitresses began to sing and dance North Korean songs. They invited us to join them on stage. Of course we didn’t know the words to the songs, but we got up on stage and danced. Still with internet connection from China, thanks to my VPN, I live-streamed the festivities. Namyang is the name of the town that lies across the river from Tumen, China. This town of about 65,000 people boasts having a rail link to Pyongyang, the North Korean capital. Namyang has a fairly extravagant train station that almost no one uses. The station is located very close to the Chinese border. It’s got pictures of the two deceased leaders of North Korea, Kim Il-sung and Kim Jong-il, which is something that will be a recurring theme on this trip. Right next to the border, there is a museum. The building previously served as a border post and some type of prison. 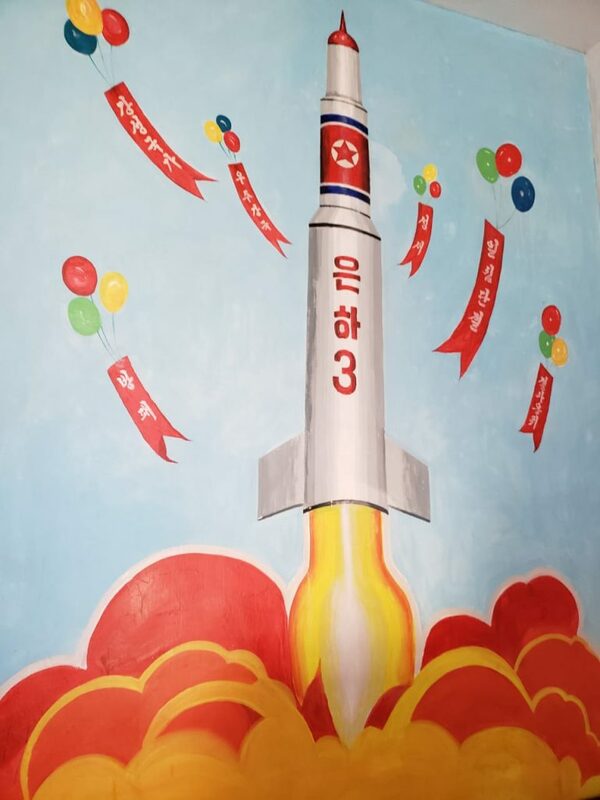 It was converted into a museum about North Korea’s revolution — another topic that will make for a recurring theme. For those who need a refresher, Japan colonized the Korean Peninsula from 1910 to 1945. Korean guerrilla fighters, led by the likes of Kim Il-Sung and one his wives — whom you will soon learn about — resisted the Japanese occupiers in the years leading up to World War II and then during the war. At the end of the war, Japan surrendered, and the Korean peninsula was partitioned, with United States administering the southern half and the Soviet Union administering the northern half. From 1945 to 1950, while the Soviets were overseeing the now-communist north of Korea, a “North Korean Revolution” took place and the DPRK was founded. The governments of both North and South Korea claimed to be the rightful government of the entire peninsula, and in the early 1950s the Korean War was fought, resulting in a stalemate that has lasted to this day. We didn’t stay in the border town of Namyang for long. We quickly moved on to the northeastern city of Hoeryong, known as the city of apricots and also known for having the most beautiful women in North Korea. I can vouch for the latter. I definitely found the women of Hoeryong attractive. Unfortunately, this wasn’t a dating adventure. Rather than being in Hoeryong to meet women, we were more so there to pay our respects to a woman. 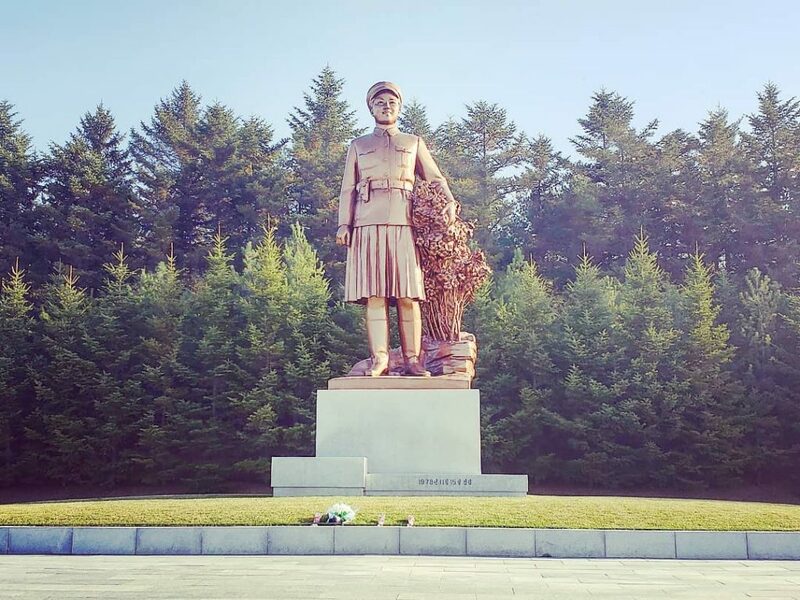 The first stop in Hoeryong was the monument for Kim Jong-suk. Kim Jong-suk was the second wife of first leader of North Korea, Kim Il-sung (yes, they were both guerrillas) and the mother of Kim Jong-il, the second leader of North Korea. Likewise, Kim Jong-suk was the grandmother of Kim Jong-un, the third and current leader of the DPRK. The Kim Jong-suk memorial is basically a large statue of her looking simultaneously fierce and feminine. When visiting the memorial, you have to lay flowers — something our guide did — and bow for about 10 seconds. After bowing, you can take photos, but the pictures have to be showcasing the entire memorial. The photos cannot be zoomed in or cropped — such altering is considered very disrespectful, and you could even be punished if you got caught doing so. Nearby is the house in which Kim Jong-suk grow up. The house is now a museum that celebrates her life. 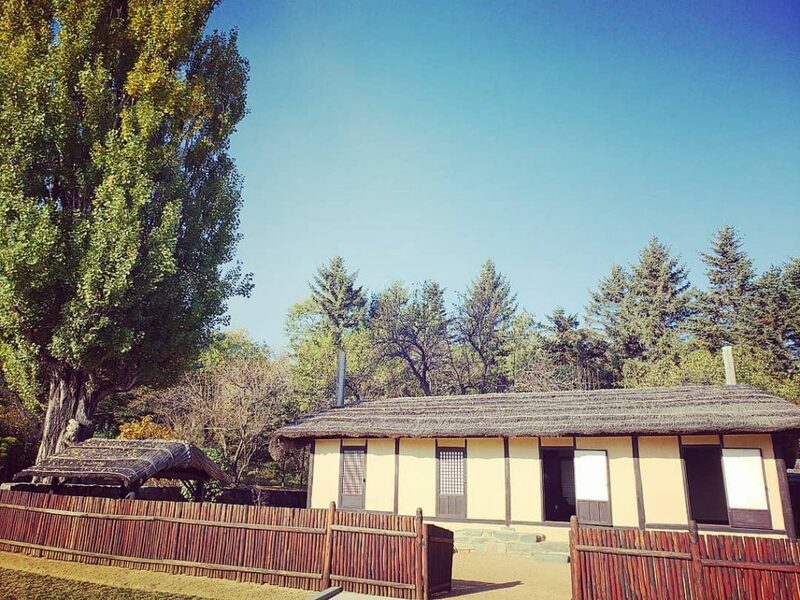 We went inside this approximately 100-year-old, Korean-style home, where a guide taught us about the life and history of the second wife of North Korea’s first great leader. Later wer also visted a small museum that contains an exhibit of some wood from very special trees that heroic North Korean soldiers saved while giving their lives fighting a very deadly fire. Still on the first day of our North Korea adventure, we visited a local school. 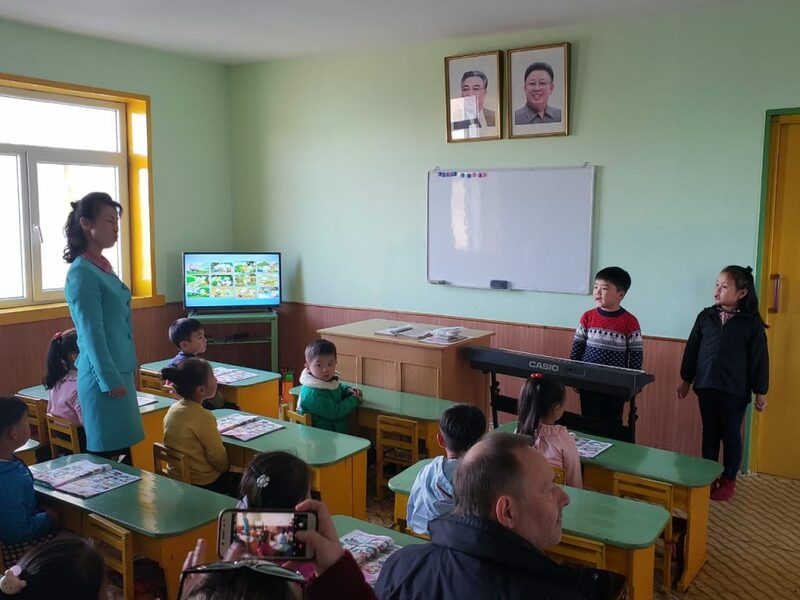 Part of what made this the “Real Deal” DPRK tour was that we, on multiple occasions, would visit North Korean schools and get to know students both through conversation and activities. Our first campus stop was a middle school in Hoeryong. We visited an English class at this middle school that consisted of boys and girls round the ages 10-12. We were allowed to speak with the students for about 15 minutes. The North Korean students could speak English pretty well. They asked us where we were from, and we informed them a bit about our home countries. I must say the North Korean kids’ perspectives were vary narrow. We didn’t discuss politics, but it was clear that these students were big fans of their country. 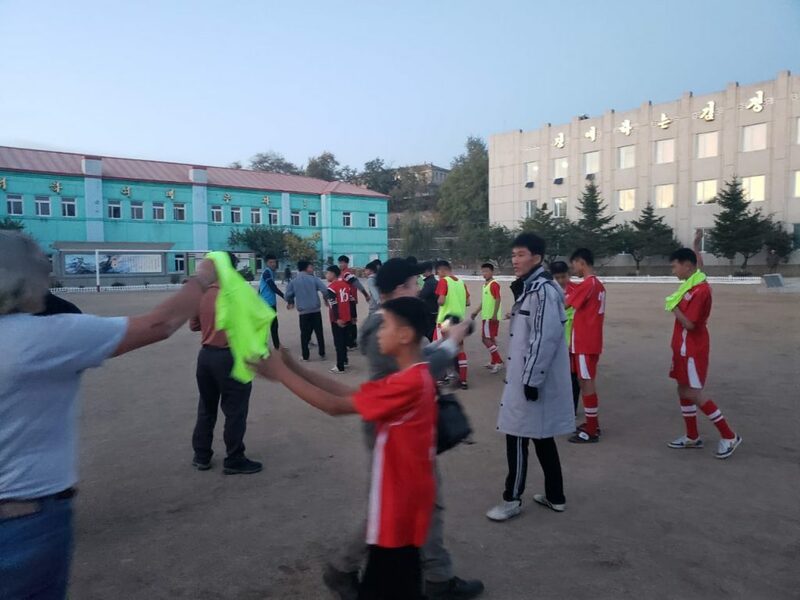 Though it was getting dark, students and tourists alike went outside to play some sports. We split up into two different games — one volleyball and one soccer. I opted for soccer, a sport I hadn’t played in a long time but one I really enjoyed as a kid. Tourists, students and our North Korean guides were mixed and matched on competitive teams. My team lost, but I scored a goal, so I was happy. For our first night in North Korea we checked into a hotel in Hoeryong. Really quickly we could tell the living conditions in this part of the country are not that great. There was basically no energy in the hotel. Every few minutes there was a blackout, and there was no running water, let alone hot water. The bathtubs were pre-filled with water for us to use, which I did not want. Apparently there was a public bathhouse next door, but I didn’t use that either. Despite the lack of power and running water, I did manage to enjoy a nice dinner at the hotel before calling it a night and getting some rest for Day 2. Needless to say, it was a pretty revealing Day 1 in the DPRK. Early in the morning, we boarded the bus and left Hoeryong, headed for Chongjin, the third largest city in North Korea. Chongjin is also in the northeast, but it is located on the coast. The route to Chongjin was very scenic, taking us through a bunch of hills that were very colorful in appearance since it was autumn. But the streets… well, what streets? We were driving on mud roads with almost no other cars in sight. At some point we made a pitstop at a good lookout point. About three hours after departing Hoeryong, we arrived in Chongjin. We did some sightseeing in Chongjin, visiting for instance, a revolutionary museum with exhibits on the fight against the Japanese during World War II. The most memorable part of the Chongjin sightseeing was catching the sunset atop a hill near a Soviet military cemetery. There is a cemetery in Chongjin for Soviet soldiers who were killed fighting there against the Japanese in World War II. From the cemetery, we walked up the hill to a spot that had amazing views of the coast. Don’t tell anyone… I did a little espionage atop this hill in Chongjin. I zoomed in my camera lens and got great shots, not only of the sunset, but also of factories. I abided by a policy, though, of not taking photos of fishing boats in a harbor below us. We doubled down on our commitment to getting to know North Korean school kids. First we visited a Chongjin kindergarten. This was not your average kindergarten, at least not by western standards. The kindergarteners treated us to a performance. 4 and 5-year-olds played the violin and piano perfectly. I clearly recall one 4-year-old girl delivering an utterly dramatic piano recital. These little kids also performed ballet and did gymnastics for us. Their discipline was incredible. They had not even started primary school, yet they could deliver a multi-faceted, hour-long musical and acrobatic performance. This is something you would never see in a western kindergarten. North Korean kids are musically inclined. There was something else at this kindergarten that stood out as much as the kids’ remarkable discipline. All over the place there were images of and references to North Korean weaponry, including of the nuclear variety. 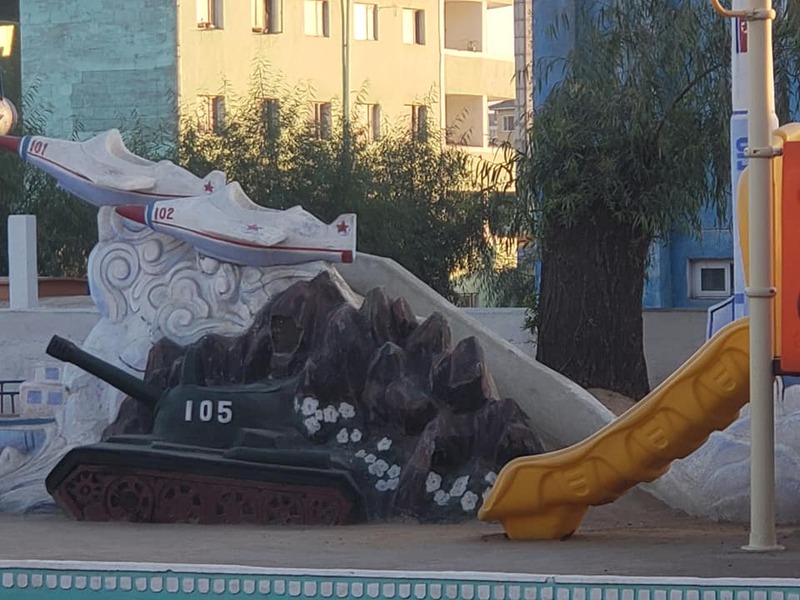 Out on the playground, right next to the slides, there were kindergartener-sized tanks and rockets. 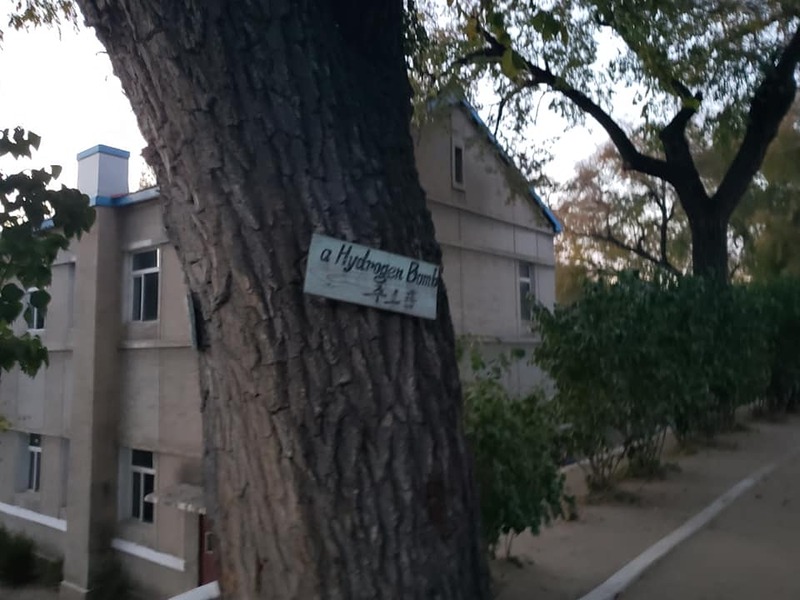 And when you take a close look at the trees, you notice they have names… like “The Great Fatherland,” “America Is Evil” and “Hydrogen Bomb.” Kids here have an interesting upbringing, to say the least. We rounded out our campus field trips with a visit to a high school. Again we paid a visit to an English class. This time the students were about 16 years old, and we were allowed to have 45 minute interactions with them. 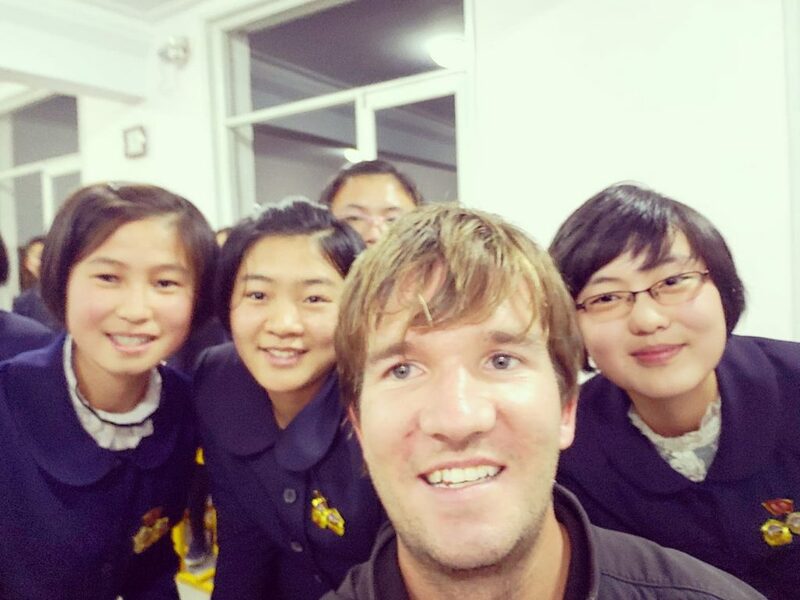 I got to speak with 4 North Korean girls (lucky me 😊). They spoke very good English. North Koreans have this concept of the “factory.” Everyone must end up in a factory. 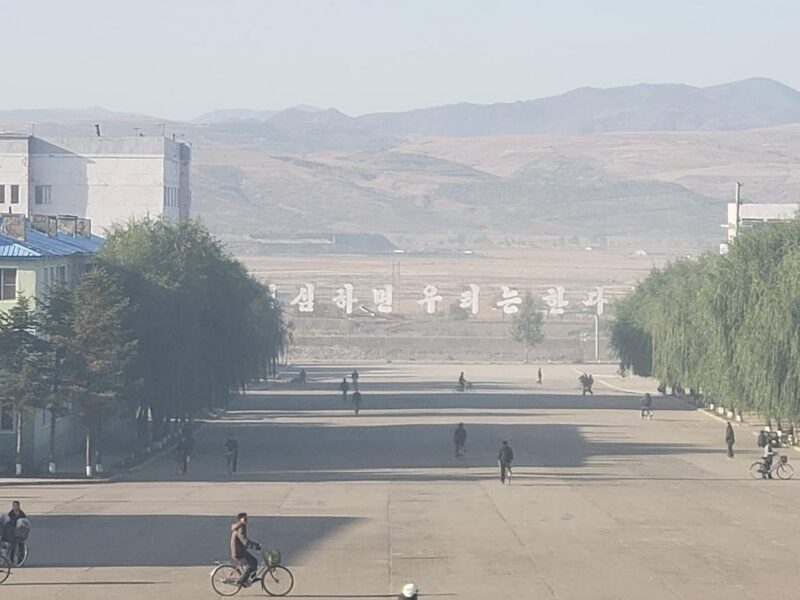 In North Korea, you go to school, then army or higher education and then factory. Ultimately, you have to go work in a factory. This is the mindset you come in contact with when speaking with North Korean youth. I tried to explain to the girls what I do for a living and where my “factory” is and what my “factory” does. I told them I don’t need to leave my room to be at my factory. They basically understood. At the least, they understood that I am the boss of my factory. As the conversation went on, the North Korean girls and I were building rapport. Our conversation spiked when they asked me to sing a song from my fatherland. I sang the German national anthem… from Nazi Germany. There were no Germans on the tour, nor in the classroom, so no one could understand me as I sang the prohibited Nazi version of the German national anthem. What I left out until this point is that our conversation was being supervised by a guy from the tour company. When the minder came in to redirect the conversation, we just changed the topic and everything was fine. I wasn’t thrown in a North Korean camp for spreading fascist or capitalist propaganda. All was well. I was only a quarter of the way into my North Korean excursion. But, particularly from interactions with students, I was making cultural observations and some things were becoming clear. Obviously, North Korean youth have a lot of skills and discipline. But they really lack perspective. The kids I spoke with did not know China is a neighboring country… and we were so close to the Chinese border! Also, the kids were very supportive and positive about their government. And their national pride really showed. It is not an obligation for North Koreans to serve in the military, but basically every student said, yes, I want to defend our fatherland against the evil Americans. They said, of course they will go to the military first, and afterward, study and head to the factory. Once again, they are talented, but this is a pretty rigid mindset.